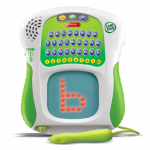 Posted on July 16, 2015 September 21, 2018 by Sue M. by Sue M.
Posted on July 6, 2015 September 21, 2018 by Sue M. by Sue M.
Fisher-Price’s Laugh & Learn Play Puppy with bonus CD will provide your little one with hours of creative learning play. 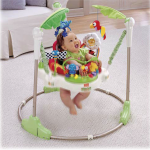 Posted on June 26, 2015 September 21, 2018 by Sue M. by Sue M.
Fisher-Price’s Rainforest Jumperoo, currently under $80 at Amazon, is an all-in-one bouncy seat, play center and learning toy. 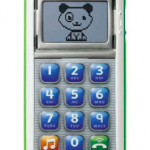 Posted on June 19, 2015 September 21, 2018 by Sue M. by Sue M.
The final item in our series on travel toys for summer learning and fun is LeapFrog’s Scribble and Write, portable and lightweight at 1.2 lbs and running on 3 AAA batteries. 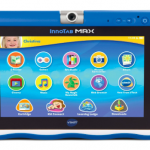 Posted on June 11, 2015 September 21, 2018 by Sue M. by Sue M.
VTech’s Innotab Max Kids Tablet, currently around $85 on Amazon, is the third addition to our series on toys for summer travel.